Montreal to Lima, Peru - $564 CAD roundtrip including taxes | new record! 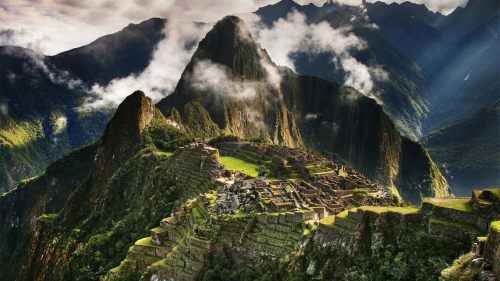 Delta has set a new record for the cheapest flights from Montreal to Lima, Peru at $564 CAD roundtrip including taxes. There are actually even a few flights for $490 CAD roundtrip, but those ones have an overnight layover. Update: Many of the September, October, and November flights are $490 CAD roundtrip, but without the overnight layover! Certain dates from January to June 2016 and September to November 2016. The April & May departure dates are probably the most desirable. These are good months to visit Machu Picchu, after the rainy season, but before the July/August crowds. September is also a desirable month. October starts to border the rainy season. There are a variety of different flight options available. The fastest flights may have 2 stops on the way down, and 1 on the way back. If one of your dates only shows flights with an overnight stopover, try another date close to it. The May departures seem to generally have faster/better flight options than the Jan-April departures. Montreal to Lima, Peru - $474 CAD roundtrip including taxes | non-stop flights! montreal, yul, flight deals, south america, lima, peru, lim and delta. 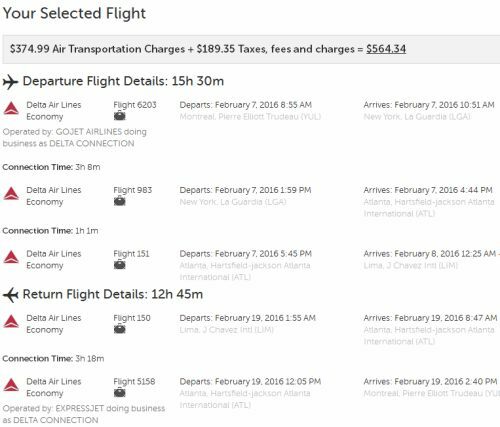 One Response to "Montreal to Lima, Peru - $564 CAD roundtrip including taxes | new record!"